Learn about the Mac OS X v10.6.2 update. 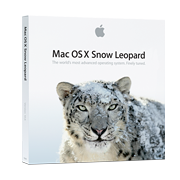 This update is recommended for Mac OS X v10.6 through v10.6.1 Snow Leopard users and includes general operating system fixes that enhance the stability, compatibility, and security of your Mac. Note that an update size may vary from computer-to-computer when installed using Software Update. Also, some updates must be installed prior to others, so you should run Software Update more than once to make sure you have all available updates. The Mac OS X v10.6.2 combo update also includes improvements provided in the Mac OS X v10.6.1 Update.